NEW YORK (PAI) – Want a contrast in how much the rich pay Uncle Sam, compared to the rest of us? Then consider the tax bites taken from one of the largest Powerball lottery winners – a grocery worker from New Jersey – and a hedge fund manager from New York. 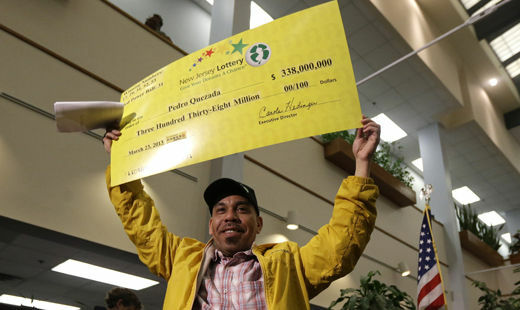 Pedro Quezada, 44, won the fourth-largest Powerball pot ever. He’ll take his cash as a lump sum, about $211 million. Taxes? He’ll owe 46.2 percent of his lump in combined state and federal income taxes. Now look across the Hudson River at hedge fund manager John Paulson. In 2009, he bet that the feds would bail out banking giant Citigroup. He bet right – and cleared $1 billion. That’s five times as much as Quezada got. Taxes? The profits that hedgies make qualify as “capital gains” and get preferential treatment at tax time. Paulson paid only a 15 percent tax on his winnings. So if you do the math, what you come up with is that the poor grocery worker from New Jersey forks over around $100 million of his one-time victory jackpot. Meanwhile, the rich hedge fund bettor from Wall Street – whose winnings don’t create jobs and whose hedge fund can destroy them – antes up around $150 million to the feds. We don’t know what income taxes Paulson must pay to his state of residence. There’s something wrong with that picture. The basic capital gains tax rate did go up a bit, from 15 percent to 20 percent, in the January fiscal cliff deal. But hedge fund managers who cash out big this year will still be paying taxes at half the rate of Pedro Quezada. It wasn’t always this way. Back in the mid-20th century, even one of Wall Street’s top tax lawyers advocated and applauded stiff taxes on America’s super rich. That’s very relevant, as April 15 is fast approaching, and Americans are naturally thinking about taxes. But most of us won’t be thinking about taxes the same way Americans once did. Over the past half-century, we’ve had a profound transformation in our attitudes toward income taxation. How profound? Consider the tax perspective of Randolph Paul, the corporate tax attorney who helped shape federal tax policy during and after World War II. In those years, he was America’s most famed corporate tax lawyer and his answer had the nation’s super rich squirming. Paul probably thought about taxes – and their role in our society – as deeply as any American of his time. Paul lived and died taxes, literally. In 1956, he slumped over and died while testifying about tax policy before a U.S. Senate committee. Paul’s tax career started decades earlier. In 1918, just a few years after the federal income tax went into effect, Paul began specializing in tax law. By the 1930s, he had become one of Wall Street’s top tax experts. His clients ranged from General Motors to Standard Oil of California, and probably no one in America knew the tax code – loopholes and all – any better. That knowledge made Randolph Paul invaluable to Franklin Roosevelt’s New Deal. In 1940, Paul helped New Dealers write an excess profits bill. In 1941, right after Pearl Harbor, he joined the Treasury Department and worked to make sure that all Americans, the wealthy included, contributed financially to the war effort. Paul succeeded. By 1944, the federal income tax had become a major presence in American life. Most Americans, for the first time ever, were paying income tax – and rich Americans were paying the most taxes of all. During the war, the tax rate on income over $200,000, about $2.6 million today, jumped to 94 percent. Two years after the war, back in private practice, Paul published his masterwork, the ultimate distillation of his thinking about tax policy. Taxation For Prosperity presented a carefully argued case for continuing high wartime tax rates on peacetime high incomes. 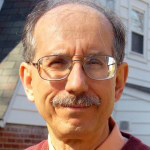 In fact, Paul would argue, taxes in a mature economy offer us “powerful instruments for influencing the social and economic life of the nation.” With “well-planned taxes,” we could avert a next depression. For people in higher income brackets, by contrast, a “well-planned” tax system meant high tax rates. High taxes on people of high income, Paul continued, also “perform the valuable service of preventing more saving than our economy can absorb,” soaking up the excess that would otherwise wind up devoted to destabilizing speculation. Over the next two decades, in the 1950s and 1960s, we had a tax system that for the most part played that role. Tax rates on America’s rich hovered at high, near World War II-era levels, and average Americans, over the course of these years, prospered as never before. Since then, we’ve gone in the opposite direction. Our nation’s tax experts – and the elected officials they advise – no longer think about taxes as a tool for combating our “undue concentration of wealth.” They see taxes as a matter of raising revenue, pure and simple. Randolph Paul considered that attitude “immature.” We should, too.